Expats who end up in Bulgaria are simply glad they did. Life in this country is affordable, in fact, by a third compared to what it takes to live comfortably in other European nations such as the United Kingdom. By European standards, this Baltic country is a true bargain because aside from the scenic outdoors and undeniable natural charm, cheap cost of living is also included in the package. The overall prices in the local market are affordable except for electronic gadgets and fuels which can get too costly during the winter season. As of 2017, the average monthly minimum wage in Bulgaria is €235.20 whereas 33% of it normally goes to food or market expenditures and another 15% is spent on house rental. Although anything imported would naturally cost more, expats will be glad that local products are always within their budgets. Accommodation costs in Bulgaria are one of the first considerations for anyone who wants to move to the country. House and apartment rentals in Bulgaria are much within reach of any average-income family. Expats should also know that their preferred area of residence is an important factor to consider when it comes to preparing a housing budget. For example, rentals outside the city centre are around €50-70 cheaper than those found in prime locations such as Pleven and Sofia, the capital. The cost of utilities is not usually included in the rental cost. Expats in Bulgaria should budget at least BGN 155- BGN 160 or roughly €80 to cover their monthly heating, water and electricity consumption. 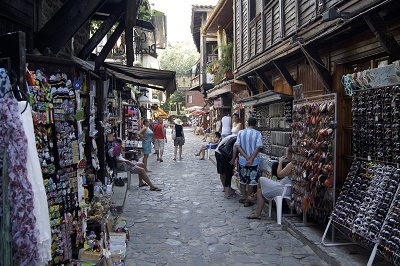 The low cost of properties in Bulgaria is also one of the reasons why many expats choose to work or even retire here. Though there has been a significant price increase in the local real estate market due to the influx of expats and tourists, the cost of buying a home is still cheaper than in Spain and the United Kingdom. Houses along the Black Sea coast and in the mountain regions of Borovets, Pamporovo and Bansko are considered to be the most prized and in demand. Expats who want to get a great deal should have the patience to look for properties in the rural areas or in the countryside where the prices are a lot cheaper. Dining out in Bulgaria can also be a fun family bonding activity but less the worry of spending too much. Eating out in this country is affordable and many will find a whole day’s worth of meal in such reasonable prices. One golden tip is that, expats should spend their hard earned money eating in taverns and pubs instead in posh restaurants in the city centre. Aside from the affordability, they will also have the chance to experience the Bulgarian culture of dining. How Much to Get Around? Riding the public transportation is generally cheap in Bulgaria and expats who will move in big cities such as Sofia will have plenty of options on how to get around. Generally speaking, the cost of riding a taxi is quite cheap except for the cabs in Sunny Beach which are notorious for their surprisingly high rates. Expats who prefer to drive can also get a vehicle for the starting price of BGN 5,800 or roughly €3,000. Petrol prices are also affordable except during the winter season where there is a normal price increase.